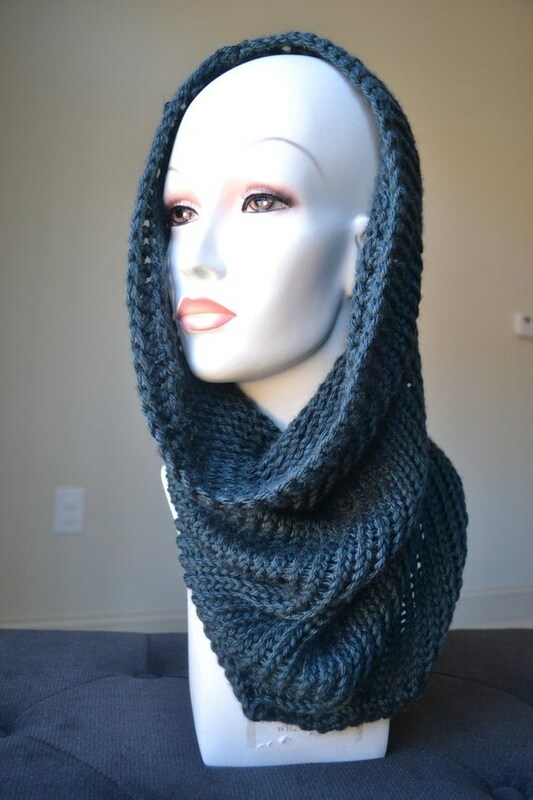 Knitted cowl scarf in a dark teal color. This scarf has a wonderful soft and delicate feel. It is long enough to come up over your head and provides excellent neck coverage. The color is beautiful and accents many styles. Folksy :: Buy "Scarf - Blue. SALE!!! WAS Â£12.50 NOW "
Folksy :: Buy "Hat - Blue.."